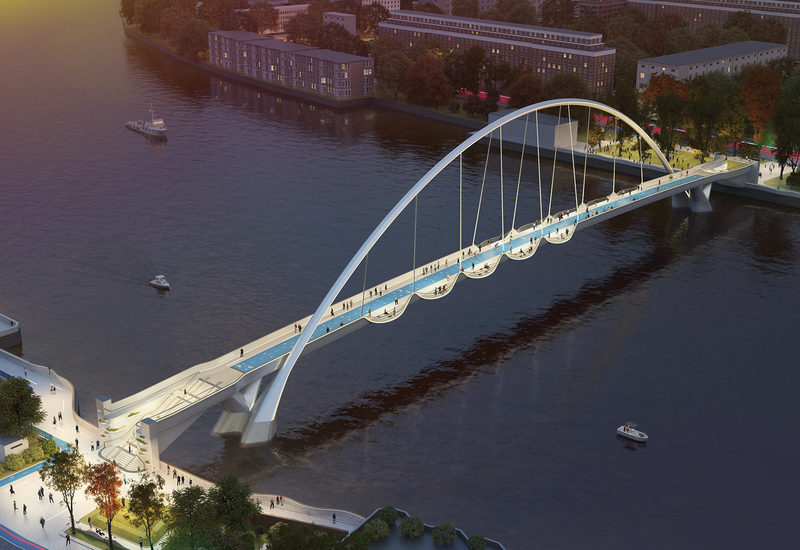 The concept for the pedestrian and cycle bridge, spanning the River Thames between Nine Elms and Pimlico, is to create an arch type suspension bridge combining elegance and structural integrity with the highest standards of accessibility and functionality. 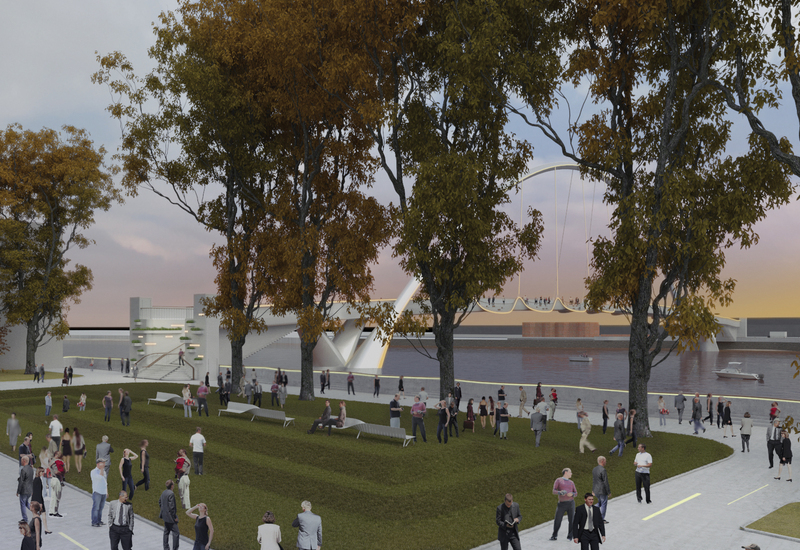 Moreover, the design takes its wider context into consideration in order to enhance the public realm on both sides of the river. 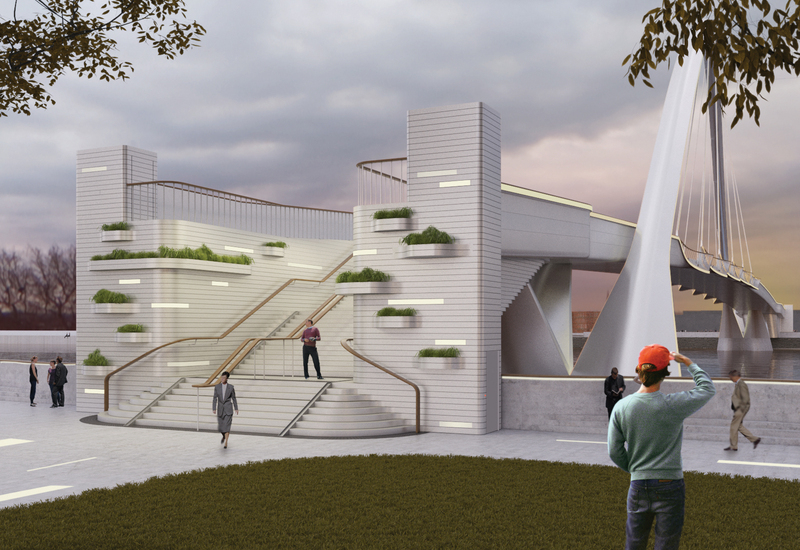 Improvements to the green park areas include additional plants, new seating areas, ramps for easy access and specifically designed multifunctional step-type grass squares. 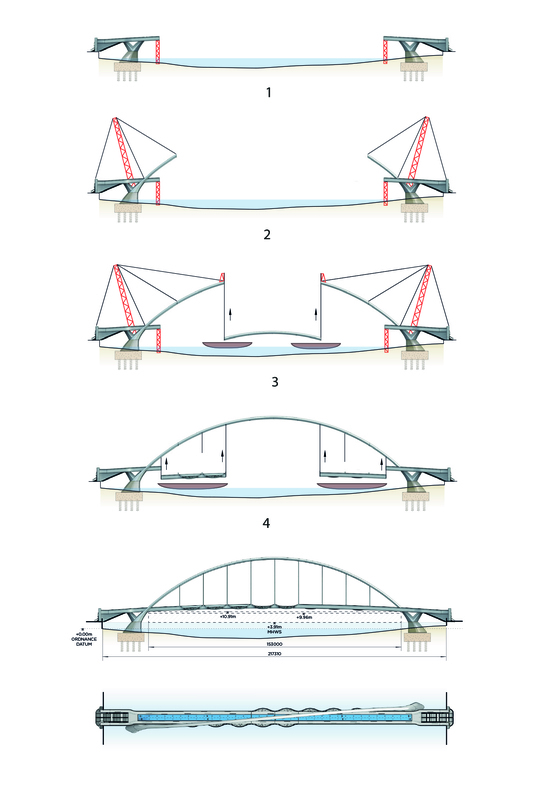 Seeking a delicate, lightweight solution, the structure is supported by a series of cables extending down from an arch that spans the width of the bridge. 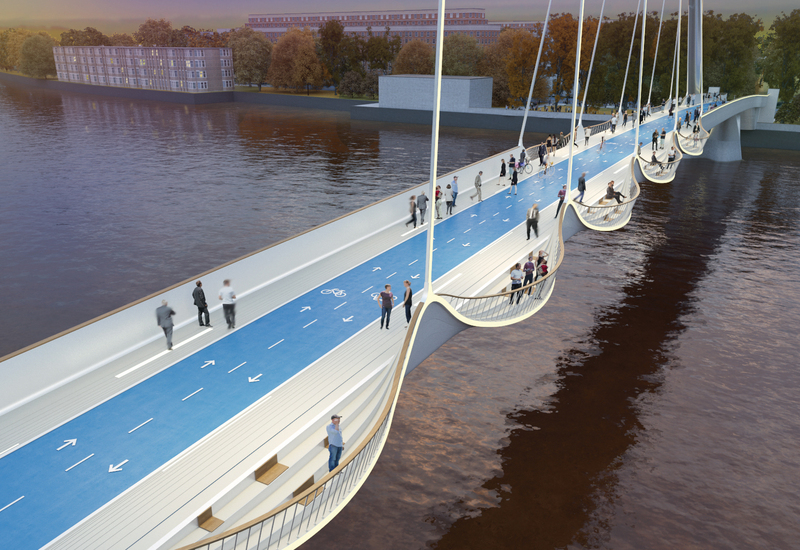 This structural solution creates a new multifunctional, more forward-looking infrastructure in which cycling and pedestrian paths will be provided separately, increasing the sense of safety, user confidence, accessibility and comfort. 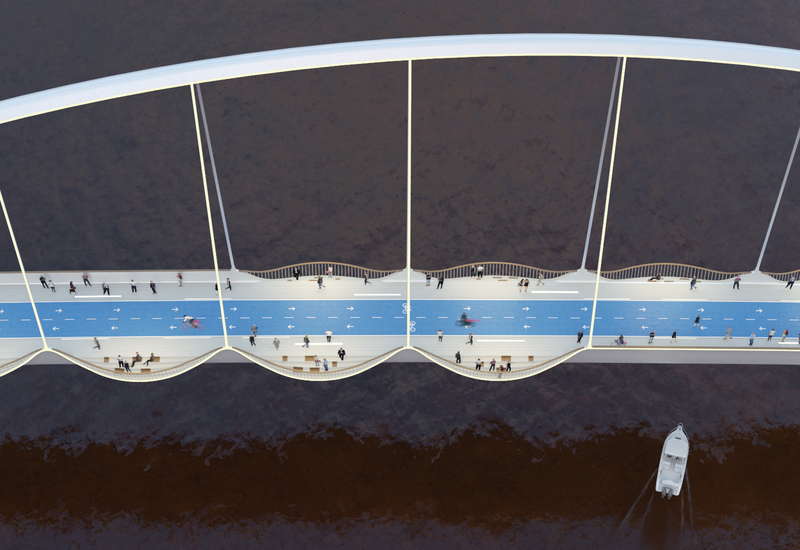 The bridge is designed to be straight with no obstacles in between allowing for cycle and pedestrian traffic to flow unimpeded. 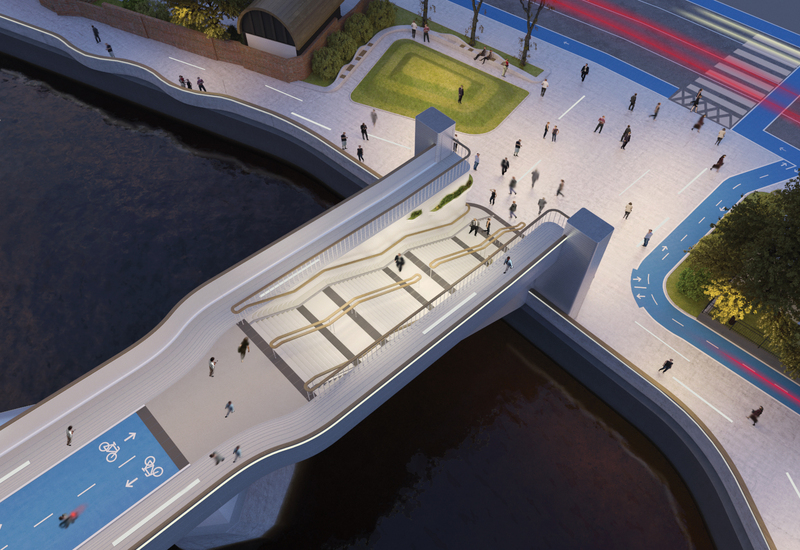 The pedestrian path is 2×2 m wide while the cycling path is 4 metres wide, which is separated from the pedestrian lane for extra comfort whilst creating a safer atmosphere for pedestrians and people with impaired vision. 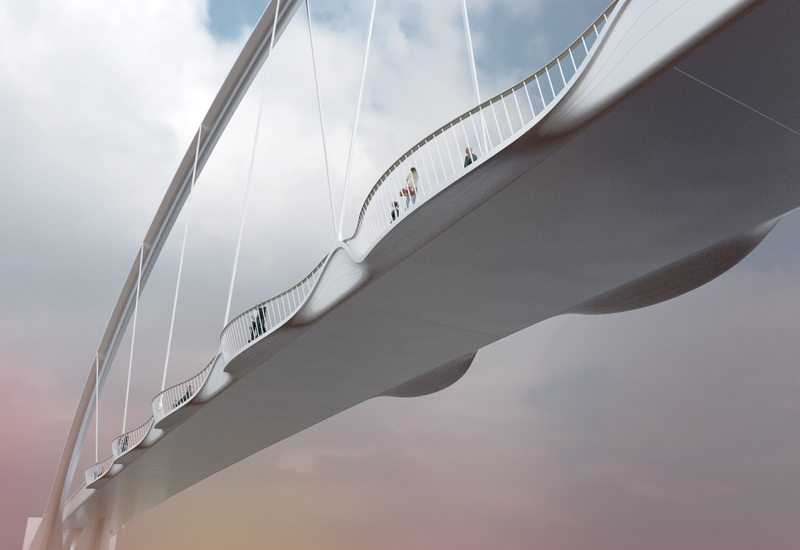 Spacious viewing decks along each side of the bridge complement the paths. These wave-like decks with seating areas offer opportunities for relaxation, leisure and enjoying amazing views across London for everyone. The surfaces are made of durable and slip resistant materials for extra security and comfort. For a more inclusive approach polished timber detailing to tactile surfaces such as seating and railing will be added. Floor lighting will add an aesthetic quality whilst also functioning as traffic and direction guides at night.